A healthy digestive system is crucial to life. The digestive tract also houses a great proportion of the organism’s immune system cells. Thus taking care of the gut can have many implications in a cat’s overall health. This is where probiotics can help. These beneficial microorganisms work to improve digestion and boost the immune system by negating the harmful effects of pathogenic bacteria in the gut. So, if you want your kitty to lead a life that’s more meaningful, healthier, and less prone to infections, then you might want to read our 10 best probiotics for your cat this 2019. 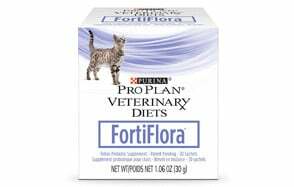 The Pro Plan Veterinary Diets Fortiflora is not really a dedicated pet probiotics for cats since it only contains a still-undisclosed number of colony-forming units (CFUs) of the good bacteria Enterecoccus faecium. At the very least, since it is considered as a nutritional supplement, you’ll have a much better chance at ensuring optimum nutrition for your feline pet especially since the FortiFlora comes enriched with taurine as well as the vitamins C and E. Taurine should prove invaluable if you’re providing your cat less animal meats. If we go by the sheer number of species of beneficial bacteria included in a single formulation as the principal indicator of the best probiotics for cats then Pet Ultimates’ Probiotics for Cats will win hands-down. With 20 different bacterial species accounting for 5 billion CFUs for every scoop of Pet Ultimates with the addition of beta glucan and the enzyme alpha galactosidase, this is clearly one of the best when it comes to feline probiotics. The company also managed to give out money back guarantee, albeit only for 2 weeks. It would have been great if it were at least a month. This Nutramax product is considered as one of the best probiotics for cats with diarrhea especially when used in combination with the company’s Proviable KP paste. The Proviable DC Digestive Health Supplement supplies a variety of gut-friendly bacteria to reestablish the normal balance of bacterial flora in the gut and minimize the incidence of diarrhea especially those brought about by antibiotics. Adding to the probiotics are two prebiotic ingredients that help strengthen the functioning of the digestive system of cats, further enhancing the overall gut health-giving benefits of Proviable DC. Our only question is that the packaging clearly states that the Proviable DC is only sold through veterinarians yet it is widely available in online commerce platforms. It is thus, our recommendation to seek the Proviable-DC only from your vet. Like the Purina FortiFlora, the NaturVet Digestive Enzymes Plus Probiotic is more of an enzymatic preparation for kitties rather than an exclusive probiotics for kittens and adult cats. The reason for this is that it only comes with a single species of good bacteria. 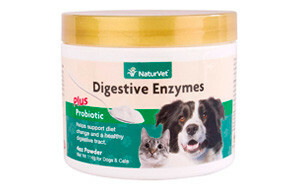 Nevertheless, it also comes with a good amount of digestive enzymes which should help promote better digestion especially if you’re giving your feline friend carbohydrate-rich foods, thanks to the inclusion of cellulase and amylase into the formulation. Technically, NaturVet is designed primarily to help in the transition of feeding, say from the food designed for kittens to the one designed for adults or when there is a change in cat food. Featuring 7 different probiotic organisms plus fructooligosaccharides, the Vetri Mega Probiotic is a great pet probiotics especially designed for both dogs and cats. The formulation makes its one of the most ideal probiotics for cats with diarrhea, flatulence, or any other sign of food intolerance. Vetri Mega comes in capsule form and not in the more packed tablet. This makes it quite easy to administer as it can be easily dissolved once it has been ingested by your pet. VetriScience says the capsule can be sprinkled into your pet’s food by breaking the capsule. When compared to the other feline probiotics we have in this list, the amount of beneficial bacteria per serving of the PremoPet Probiotics is somewhat lower at only 1 billion CFUs per unit of measure. Other brands provide 2 to 5 billion CFUs. Nevertheless, PremoPet prides itself of a GMP certification for its production facility as well as certification from the NPA regarding the quality of its probiotics. You get excellent probiotics for cats with diarrhea and other signs of gastrointestinal upsets. For those that are concerned about the effectiveness of the product, PremoPet provides a 60-day guarantee for the use of its Premo Probiotic. Just in case you’re not satisfied with what you see in your pet, you can just as easily request for a refund. It also comes in powdered form so administration is never fussy. One of the best things about the PRO-Pets Probiotic for Dogs and Cats is that it comes with the proprietary time-release technology known as BIO-Tract. This allows the probiotics to be released over a period of 8 to 10 hours, significantly avoiding the highly acidic gastric juices from the stomach and, thus increasing the viability of the live beneficial microorganisms in the small intestines. That is why many experts consider the PRO-Pets to be 15 times more effective than competing brands. The same technology helps ensure that towards the product’s expiration date there will still be a minimum of 1 billion CFUs, a reduction of only two-thirds its original amount. Other products simply have complete loss of their probiotic potential by expiry. This makes the PRO-Pets truly one of the best probiotics for cats. FurryPals Natural Probiotics is a product that is specifically designed for dogs. However, it is not unusual for cat owners to find comfort in the knowledge that it can be used for felines, too. The FurryPals pet probiotics features a combination of probiotic organisms and prebiotic molecules to help promote healthier digestion in feline and canine pets. It comes in powdered formulation, making it exceptionally easy to administer as it also doesn’t affect the taste of your pet’s food. If any, it is the 3-month money back guarantee that comes with every purchase of FurryPals that many pet owners find appealing. This is something that is quite unprecedented since a good number of manufacturers will only give 14 to 30 days of guarantee. TummyWorks is an excellent choice when it comes to probiotics for cats with diarrhea because of its unique combination of digestive enzymes, prebiotics, and probiotics to help provide for a healthier digestive tract. This should help ensure the more efficient movement of the bowels without upsetting the rest of the GI tract. TummyWorks comes with 6 digestive enzymes, 10 probiotic organisms, and fructooligosaccharides for excellent immune system functioning, improved digestion, and enhanced overall health. All of these are made available in an easy-to-administer powdered formulation. It also comes with a month-long guarantee so it should be a pleasant purchase for those who would like to give the best pet probiotics to their respective feline friends. A great probiotics for cats with diarrhea, bad breath, skin allergies, and many more is the iDash Pets Probiotics featuring 25 billion CFUs for every 6 ounce jar of its formulation. It also comes with the Hawaiian kona berry as well as inulin to further improve overall feline digestion. The iDash comes as a tasteless and odorless powder which allows it to be easily mixed with your pet’s food. Also, the size of the dose is substantially smaller compared to other products so your feline friend is actually getting less amounts of the powder form, but with the same concentrations of beneficial organisms as other brands. The iDash Pets feline probiotics and prebiotics can truly make a good choice especially for folks who want to go organic. There are many reasons why you need to give your feline pal a healthy dose of good quality probiotics. However, to do that, you must be able to identify which among the various brands of probiotics in the market can be rightfully called as the best. Read our probiotics for cats buying guide to find out just how you can narrow down your selection. Why are Probiotics for Cats Important? Before we begin answering the question as to the importance of probiotics in feline health, let us first gain an understanding of what it is. Probiotics, in simple words, are microorganisms that are naturally found in the digestive tract of mammals. They are considered to be normal part of the gastrointestinal environment and play a variety of roles including the synthesis of certain vitamins as well as the production of short-chain fatty acids. Some clinical studies have also established the clinical usefulness of probiotic bacteria in the management of certain disorders of the central nervous system. The gastrointestinal tract of cats as well as humans and other mammals is the residence of a community of microorganisms. Like all communities there exists a balance between healthy and unhealthy microorganisms. If the balance is maintained, then optimum health is ensured. However, if there is an imbalance, then health problems may potentially arise. This can include problems in immunologic functioning, issues in the way nutrients are digested and metabolized, the development of obesity and allergies, the incidence of bad breath, and even changes in the overall temperament of the cat. Problems often arise when the proportion of healthy bacteria in the gut is somehow challenged or is presented with a circumstance that somehow tips the balance in favor of unhealthy bacteria. There are also instances when good bacteria are also killed together with bad bacteria by the antibiotics that are given to cats. Nutritional imbalances can also lead to the demise of many good microorganisms from the digestive tract of cats. Compromised immune system functioning can also strengthen the pathogenicity of unhealthy microorganisms, thus overwhelming the good ones. Environment toxins, chemical pollutants, and pesticides as well as other harmful chemicals can also upset the delicate balance between healthy and unhealthy microorganisms in the gut. Lastly, the aging process can also lead to changes in the microbiome of the feline gut. It is quite easy to spot if there is an imbalance in the digestive microbiome. Typically, if the cat shows any of the following manifestations, there is a great chance that the feline is suffering from an unhealthy gastrointestinal tract. It is for this reason that the healthy microbial flora of the cat’s digestive tract be restored. This is where feline probiotics can help. And this is why it is important for cats to receive their daily dose of good quality pet probiotics. We now know that pet probiotics help reestablish the normal balance of microbial biome in the digestive tract of our pet cats. But what does it really mean for our little furry friends? Here are some of the benefits of probiotics for our feline friends. There are many reasons why cats have diarrhea. However, this is more common when our feline friends are on antibiotic therapy. The antimicrobial agent not only kills the pathogenic bacteria that are causing an infection, it also kills the healthy bacteria in the gut. This changes the way in which water is reabsorbed into the blood, leaving more of it in the stool and causing diarrhea. 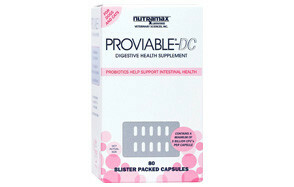 Giving probiotics help restore the healthy levels of beneficial bacteria in the gut to reduce the severity of diarrhea. One of the most common heart conditions experienced by cats is cardiomyopathy, a condition upon which there is a problem in the muscles of the heart. Because of this problem in the cardiac muscle, the heart may have difficulty pumping blood in a more efficient manner. Majority of the causes of feline cardiomyopathy is genetics although a good number is brought about by hypertension. Since one of the mechanisms that can increase blood pressure is the accumulation of fatty plaques within the walls of the blood vessels, it is thus important for cats to receive low fat diets. Probiotics can also help since these healthy microorganisms have been shown to reduce total and LDL cholesterol levels. This helps prevent the abnormal accumulation of fat in the blood vessel walls which can contribute to hypertension. Nobody actually knows how exactly probiotics can help with allergies, but non-experimental researches have shown quite a remarkable correlation between the introduction of probiotics and the incidence of skin and food allergies in dogs and cats. It should be understood that in no way are probiotics cure for allergies as the disease is actually a multi-factorial phenomenon. However, if it can reduce the symptoms of food allergies as well as skin allergies in cats, then what you get is a happy kitty. Inflammatory bowel disease is quite common in cats. This produces vomiting and diarrhea as well as a host of other symptoms. While these healthy microorganisms are not known to cure the disease itself, studies have shown that they can reduce the severity of the symptoms associated with these digestive tract disorders. At the very least, your feline friend will lead an otherwise more normal existence. There are a variety of ways in which probiotics for cats can help improve immune system functioning. First, it helps prevent the growth of pathogenic bacteria. Second, some probiotics are known to aid in the synthesis of natural antibodies while also boosting the capability of natural killer cells, T-lymphocytes, and even cells that produce immunoglobulins. What this simply means is that probiotics have the uncanny ability to help our pets ward off infections. If your feline friend happens to be your version of Garfield, then giving a healthy dose of feline probiotics can help reduce its weight to more ideal levels. Some probiotic microorganisms are known to prevent the absorption of fat in the cat’s intestine. This is then passed out as oily feces. There are also those that lead to the increased synthesis of certain hormones that help burn more calories while increasing satiety. Examples of such microorganisms include the rhamnosus and gasseri species from the Lactobacillus genera of bacteria. Like all things, not all feline probiotics are created equal. Despite having the same healthy microbial content, some would have undergone procedures that ensure their increased viability from the time of manufacture to the time of administration until their expiry. As such it is important to be knowledgeable of the things to look for in a good probiotic for your feline pal. Ideally you would want a probiotic with live healthy microbial strains. This helps ensure that all of the supposed health benefits of these microorganisms will be afforded to your cat. However, there are also those bacteria that are already considered “dead” can still have an impact on the health of your cat’s digestion, although not substantially greater than those afforded by live bacteria. As such, it is crucial that you get probiotics with certified live bacteria. Also, you’d have to check the lifespan of these products. Live bacterial strains can only survive in packaged form for a definite period of time. As much as possible go for probiotics that contain only live microorganisms. It is usually common to find products that also contain digestive enzymes or even prebiotics. This is technically okay since both substances work synergistically with probiotics to improve digestive health. What you would like to avoid are so-called supplements other than prebiotics and enzymes as these may interfere with the action of probiotics. Experts say cats will benefit a lot from Bifidobacterium and Enterococcus species as these can be exceptional in promoting healthy digestion and colonic health, respectively. We did mention about probiotics containing digestive enzymes and prebiotics. This is an acceptable practice since they enhance the activities of health microorganisms. What you would want to avoid are artificial preservatives and other ‘ingredients’ that may be added to the mix. Some actually contain animal digest, a flavor enhancer. You may or may not want to have this in a feline probiotic. Probiotics can come in various forms. This can have an impact in the way you are going to give probiotics to your cat. Powdered forms are easily mixed into the food of felines. Many of these come without added flavors and as such will not affect the taste of your kitty’s favorite food. There are also preparations that come in tablet or capsule forms. Tablets can be given in the form of treats, often hidden in pet treats. Capsules can be given as a whole like tablets or broken apart to release the granules and mixed with pet food. There are also probiotics that come in liquid form. These can be administered just like powdered formulations. Can I Give My Cat Human Probiotics? While it is easy to see why you would want to give human-grade probiotics, veterinarians strongly advise against it. The normal bacterial flora of the human gut is different from that of cats. Although there are no studies to show that giving human probiotics to our pets is harmful, there are also no studies showing that it isn’t. To err on the side of caution is definitely a lot better. Probiotics are amazing microorganisms that are needed by our pets’ digestive tract to provide them with a host of health benefits. It is, thus important that we exercise diligence whenever we are choosing the probiotics to give to our beloved pets. You can always start with these products we have shared with you in this probiotics for cats buyer’s guide.